Mixing up conventional boundaries and bringing elements of SUV, MPV and hatchback together is what Peugeot's 3008 does, and it does it well. Mixing up conventional boundaries and bringing elements of SUV, MPV and hatchback together is what Peugeot's 3008 does, and it does it well. Good enough to be hailed as the Irish Car of the Year in 2010 , no less, the 3008 impresses all with its rounded ability and practicality. Those mixed-up remits do make for rather quirky looks - we can't help but think 'guinea pig' when we see them - but unusually styled or not it's difficult to argue against as a family car. You can't see it from the driver's seat, and whether that's a good or bad thing depends on how the styling sits with you, but inside, the high driving position gives an excellent view ahead. Rivals include everything from Nissan's ubiquitous Qashqai to MPV and SUV choices across the usual breadth of mainstream rivals, though the 3008 does feel fairly upmarket inside thanks to the company's recent push in interior quality. Peugeot might offer the 3008 with a variety of engines elsewhere, but in Ireland you'll be hard pushed to find anything in the Carzone classifieds other than the 1.6-litre HDi turbodiesel. It's popular for a reason though, as its 109hp is ample - if not overly sprightly - and delivers decent economy, too. Most are fitted with a six-speed manual transmission, though an automatic is available, it actually helping improve economy officially. That automatic isn't the smoothest shifting transmission around though, so unless you really need to eke out the very maximum per tank the manual is the best option. Early cars are usually in the SX trim, later offerings being predominantly made up of Active models, though the odd Exclusive and Sport variant adds a bit of variety if you're after the additional equipment they. Core to the 3008's appeal is its practicality; the rear seat space is generous, the boot is huge, while a split tailgate aids access and is a likely draw for dog owners everywhere - the 3008 is a practical family machine. To drive it's fairly ordinary, not that there's anything wrong with that, though Peugeot has managed to make it handle decently given its height. Try finding anything other than a 1.6 HDi engine in the classifieds and you'll be hunting for a while. Still, that diesel is a sensible choice, providing enough performance for most, mixed with respectable economy. We'd opt for the manual too, as the small gain in economy the automatic brings isn't worth its clumsy shifting. 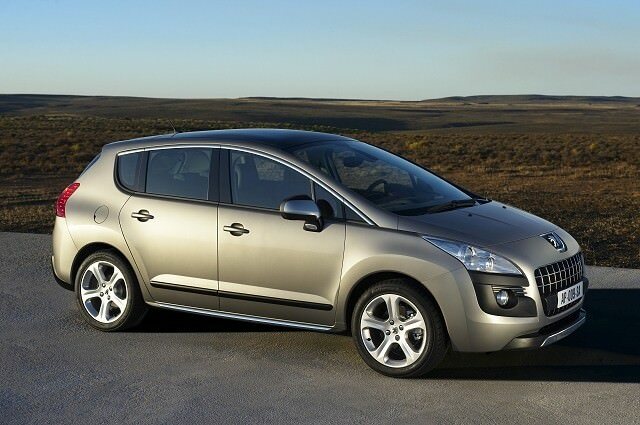 Ignore the looks - if you can - and the 3008 has a lot going for it. Practicality is a huge draw, as is its nicely finished interior. It drives well too, even if the 1.6 HDi engine isn't the most enthusiastic of performers. Fine economy, a good driving position and decent equipment levels compensate though; the 3008 might be different, but it's unquestionably worthy of much of the praise directed at it.